A Benton couple has made a business turning one man’s junk into another man’s treasure. Charles and Denise Duke opened the Junk in my Trunk Vintage Shop about a month ago as a picker’s paradise. The key to success, they say, is finding beauty in all things. 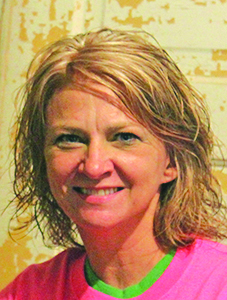 From old doors and window frames to vintage pieces from the 1950s, Denise said their shop is giving new life to people’s old junk. Their shop, located just off 5th street in Benton, is housed with their first business, Bless You Christian Gifts. Though their small town gift store was successful, Denise said they were looking for something a little more. “We had never owned our own retail shop until this. We wanted something that would carry a wider variety of things to bring more people in,” she said. That’s when they started picking through estate sales. They would find furniture pieces to use as displays, but people, at times, were asking to purchase the piece before they could even get it in the building. The shop is filled with items that are old and new. There’s even new stuff that looks old and old stuff that looks new. Items are categorized and placed into different themed rooms, including a travel room, one with all things Americana, a room for children and things for the kitchen. One of the most unique items at the shop is a vintage novelty ice cream scoop from the 1930s. The square ice cream sandwich dipper, which scoop was used to fill a sandwich shaped pocket, was one they found at an estate sale in Bossier. Denise said finding such a treasure was a thrill because it’s something she’s never seen before. It also serves as a reminder of what her ancestors must have used during the Great Depression era. The Dukes encourage customers to scour through the picking pile of furniture and utilize the project room to get creative with their finds. Things like 1950s television consoles, she said, are something customers turn into dog beds thanks to ideas found on the Internet and Pinterest, an online tool that helps people organize Do It Yourself projects through public boards. Since opening last month, Denise said people are coming by the store in droves and from outside of the state too. They’ve had people in Texas, Arkansas and California interested in their finds. Denise said they want their vintage shop to be a friendly, loving environment where people can come in, look around and stay a while. The Junk in my Trunk Vintage Shop is located at 118 5th Street in Benton. Store hours are currently10 a.m. until 5 p.m. Wednesday through Saturday, 1 p.m. to 5 p.m. on Sunday and by appointment, made by calling Denise at (318) 519-5050.